Affordable Shiba Inu Puppies & Dogs. We currently have a litter of (3) Shiba puppies (one red female, two red males). Puppies were born Friday, December 11, 2015 and will be ready to go home Sunday, January 31, 2016. Our dogs are raised as family pets and have plenty of exercise. They are fed the best food available to ensure a healthy life. Both the mother and father are on site for you to view. No AKC papers. Re-homing with adoption fee $1700. Re-homing with adoption fee includes: -Veterinary examination clearing from any genetic problems -health guarantee -first set of DHPP puppy vaccine (6-8 week) -deworming -puppy guide -starter food We require a non-refundable deposit (50%) to place a hold on a puppy. Call, text or email for more details. Puppies for sale in Alberta Canada We have loved our Shibas since 1995 when we met our first little black and tan girl 'Mitsu'. She is now 10 yrs old and our fondness of the breed has grown ten-fold also! To learn more about the breed go to our website at www.shibainus.net. We put together a wesbite packed full of information. Our dogs have been health tested for hips, patella's, eye disease including glaucoma. We show regularly in conformation and obedience. I am a small kennel located in Lawrence, Kansas breeding AKC,APRI & ACA registered Pugs, Shetland Sheepdogs and Shiba Inus. All puppies come with dual registration papers,a 4 generation pedigree, dewclaws removed, shots & worming current for age, a vet certificate, a 72 hour health guarantee a 1 year genetic guarantee and are micro-chipped. Prices vary per breed, "pets" are with a spay/neuter contract and limited papers "breeders" are with full papers and breeding rights. Please don't hesitate to contact me for prices and with any questions, or visit my website. 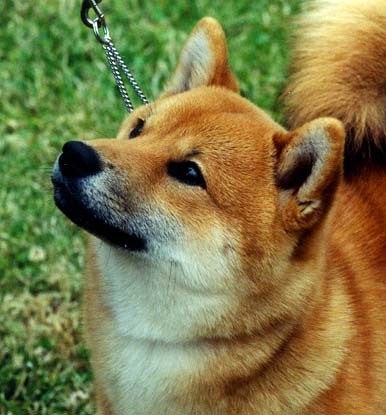 Florida home-bred Shibas excelling in type, temperament, and soundness. Breeder of over 25 AKC champions since 1990, who trace back to our 3 Registry of Merit and Hall of Fame titled foundation dogs. We prefer to place our Shibas based on personality match-ups with their prospective families, as our highest priorty is knowing our "kids" have the best of homes. Because we breed on a limited basis, our litters are often reserved before they are born. Rescues and retired show dogs available occassionally to loving homes. Member National Shiba Club of America (Stakes chairman), Gulfcoast Shiba Inu Club (current President), Greater Naples Dog Club (conformation instructor). References from adoptive families available upon request. Home of Top Quality Shiba Inu's Where is it quality not quantity! Breeder of the only American Bred National Specialty winning male to date. I have been " in " Shibas since 1988 and helped gain AKC Recognition for the breed. I love this breed dearly BUT it is not for everyone, Very Cat like and clean , however very independent and smart, a fenced yard is a must. I have a litter due in Jan, Champion sired. Mother is a import from Japan. 6349 Waldrick RD, Tenino . WA. Puppies for sale in Washington WA River Wind Shibas is a small hobby kennel located in the Washington, D.C. metropolitan area. Our goal is to produce mentally and physically sound animals who will provide a lifetime of companionship and enjoyment to those who purchase them. All of our puppies are sold on spay/neuter contracts with limited registration. All of our breeding stock are certified for their hips and eyes, along with having their hearts and knees checked by a qualified professional, and any other health checks done as required. We are not so interested in selling puppies as we are in educating the general public and making sure the choice they make is the right one when they're ready to add another member to their family for the next 15 years. I belong to several organizations/clubs including the National Shiba Club of America, the Colonial Shiba Club, Inc., and Nihon Ken Hozonkai (NIPPO) in Japan. Please feel free to contact us if you desire more information about us or our dogs. Kimi Ki breeds only kind and loving family companions that can go from the couch to the show ring. We breed for health, temperament, movement and beauty. Puppies occassional available for pet or show. Please feel free to contact us on availability of puppies and adults. Puppies for sale in Toronto Canada Canadian Shibas of quality since 1985 - happy, healthy companions that also excel in the show ring. Clear reds and occassional sesames only - breeding to strict Nippo standards to produce the finest Shibas possible. Available to screened homes on non-breeding contracts, with health guarantees and on-going support. CKC registered Shiba's bred for temperament & health. 15 years of satisfied repeat clients. Looking for a responsible honest breeder??? We are looking for the responsible loving owner. Max. 2 litters a year, pups are available by reservation only. We offer 24/7 Live Web Cam so you watch your pup being born, grow and the upbringing. We do have occasional cream Shiba's in spite of CKC & AKC judges they are in demand by dog lovers and are very beautiful. For more info please visit our website where you find our contract, pedigrees, references, movies, pictures & more.